Please join us at the Oklahoma Natural Resources Conference February 10-12, 2020 at the Norman Embassy Suites. 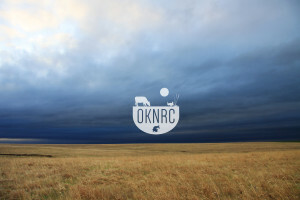 The OKNRC is hosted by the Oklahoma Chapters of The Wildlife Society, American Fisheries Society, Society for Range Management, Oklahoma Invasive Plant Council, Oklahoma Ornithological Society, Prescribed Fire Council, Oklahoma Division Society of American Foresters, and the Soil and Water Conservation Society. The conference will have presentation topics on range, wildlife, fisheries, forestry and environmental sciences. Our conference goal is to bring together a wide range of natural resource professionals and students to educate each other and foster partnerships.